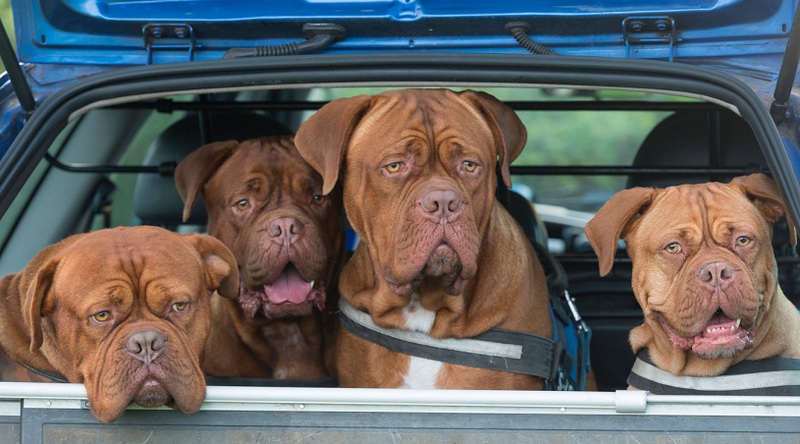 Breeding quality Dogues de Bordeaux is not an easy task. One of the main problems when trying to breed these dogs is that they suffer regularly from hip dysplasia. This is a malformation of the hip socket (Acetabulum) which leads to lameness and crippling arthritis in the hip joints. This arthritis and lameness comes about due to the fact that the spherical end of the femur cannot fit properly into the abnormally shaped Acetabulum which then results in a joint that rubs instead of slides. This friction will eventually wear away the cartilage and, when this occurs, inflammation sets in and the pain commences. This genetic predisposition is a problem which affects all heavy boned canines. 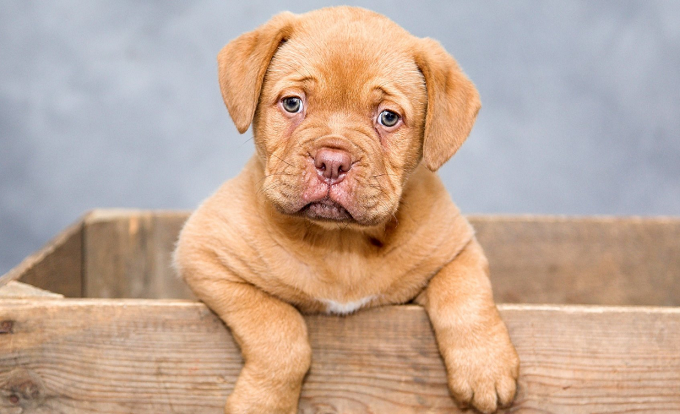 No one wants a dog that is going to be crippled and in pain and, as a result, good Dogue de Bordeaux breeders have their dogs screened for this genetic hip malformation. If the results come back positive, then the dog in question is excluded from any breeding program. The aim of this is to try to eradicate this inherited condition completely. However, due to their popularity, there are now many incompetent breeders who breed these dogs just to make a quick buck. They do not screen their dogs and, therefore, this has resulted in a significant increase in Dogues de Bordeaux with bad hips. Therefore, trying to eliminate hip dysplasia has become a constant battle for genuine breeders. Due to this inherent problem, if you are looking for a new addition to your family and want to get a Dogue de Bordeaux, it is best to do a bit of research and go to a reputable and trustworthy breeder. You will obviously have to pay more money, but this will be better for you in the long run as you will be getting a better quality of dog and you will not have to watch your dog suffer the pains of hip dysplasia. To add to this, the only way to eradicate the problem of incompetent breeders is to stop buying dogs from them. Once these breeders are gone, or have decreased significantly in number, the cases of hip dysplasia will decrease significantly too. Although these dogs have generally small litters, the puppies usually have to be delivered by caesarean section due to the fact that the puppies have such large heads. These dogs are so large that mothers often accidentally squash their puppies when nursing them. You should keep an eye out for this or there is a considerable chance of you losing one of your precious puppies. However, please keep in mind that females can be super protective when it comes to their puppies.